Johnson City, Tn. 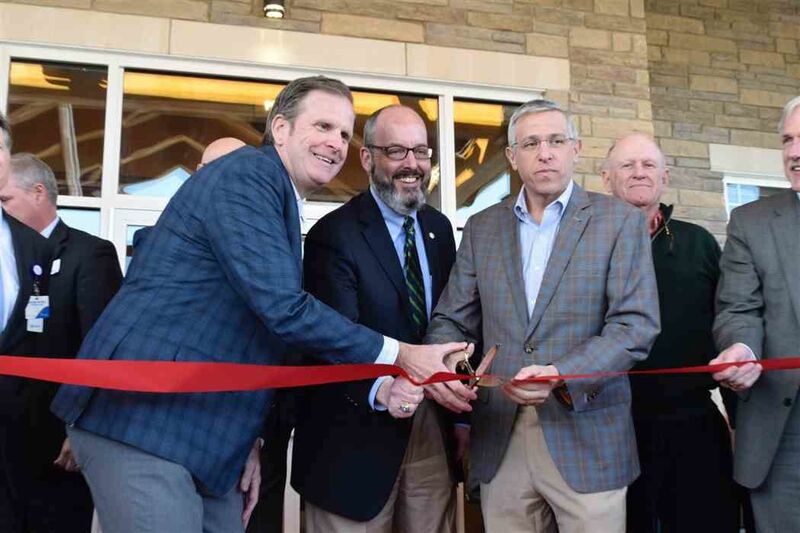 – March 19, 2019 – Princeton Transitional Care and Assisted Living celebrated the grand opening of their new facility with an open house and ribbon cutting ceremony on Monday, March 18. Princeton is a partnership between Signature HealthCARE and Ballad Health bringing a new level of healthcare services to the Tri-Cities area. The event began with opening remarks from Signature HealthCARE CEO and President, Joe Steier, and Ballad Health CEO, Alan Levine. Immediately after, Senator Rusty Crowe’s office presented a proclamation followed by a ribbon cutting ceremony. Community members and attendees then enjoyed wine, hors d’oeuvres, music and tours of the beautiful facility and grounds. The state-of-the-art community will add 60 assisted living apartments, and 47 short-term skilled-nursing and rehab private suites to Johnson City. The 73,000 square-foot facility features a streetscape with a chapel and theatre, library and media center, on-site physician office, and three beautiful courtyards with outdoor fireplace and water features. “The care and services provided at Princeton Transitional Care and Assisted Living will offer a very supportive and positive experience for those being served,” Burkley said. To inquire about Princeton Transitional Care or to reserve an Assisted Living apartment, call (423) 218 – 5806 or visit http://princetontransitionalcare.com/.